We go to hospitals to heal, not to get hurt. 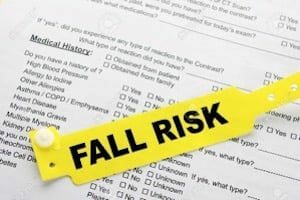 But serious injuries from falls and immobility in hospitals are all too common. Between 700,000 and 1 million people fall in hospitals each year, according to the U.S. Department of Health and Human Services. Since many hospital patients are already physically vulnerable because of illness or are impaired by medication, these falls can have tragic consequences and result in thousands of injuries and deaths annually. But many hospital falls – about 1/3 of them according to one study – are preventable. When a patient falls because a hospital and its staff failed to take reasonable steps to prevent falls or failed to fix unsafe conditions, the experienced Washington DC injury from falls and immobility lawyers at The Rich Firm, PC aggressively pursue compensation on their behalf. 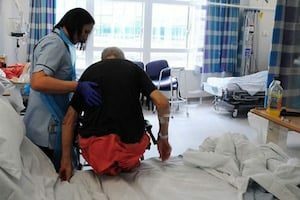 Why Do Hospital Falls Happen? The injuries patients suffer from hospital falls can include fractures, subdural hematomas, and excessive bleeding among others, and can even result in death, especially for seniors. When a hospital’s actions or failures to act cause falls that result in injury or death, the Washington DC personal injury attorneys at The Rich Firm, PC can help. Our lawyers, a number of whom are also licensed physicians, are committed to the well-being of our clients and fight tirelessly to get them compensation and hold negligent parties responsible. If you have been injured or lost a loved one as a result of a hospital fall, please give us a call at 888-RICH-LAW (742-4529) to set up your free consultation or contact us online. We look forward to assisting you.